The volatility of the stock market over the last few months has many concerned that the longest bull market in American history may be drawing to a close. Uncertain financial times emphasize the need for organizations to take stock of whether they are positioned to withstand whatever might come. In particular, the speed and ease with which organizations can determine an accurate daily cash position are critical. 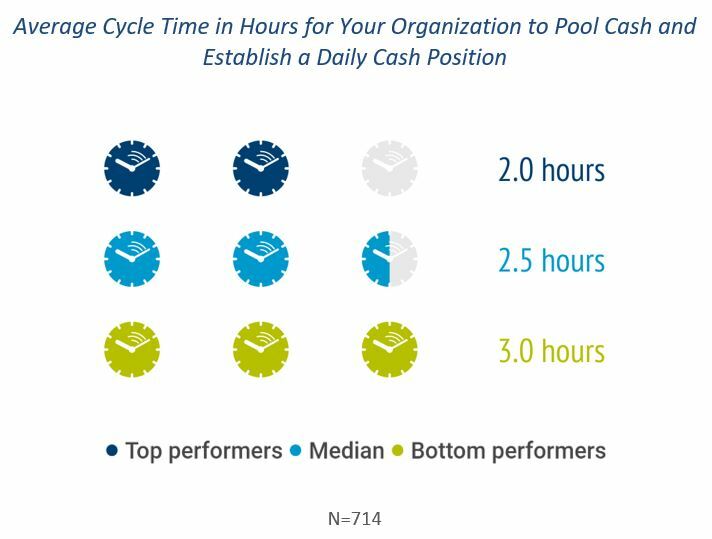 For this month’s metric, we examine average cycle time in hours for an organization to concentrate cash and establish a daily cash position. Establishing a daily cash position might be straightforward for a small business with only a few bank accounts, but for large multinational organizations with bank accounts in multiple countries, the process can be exponentially more complex and labor-intensive. The adage “cash is king” is certainly true when it comes to the importance of an organization’s daily cash position. 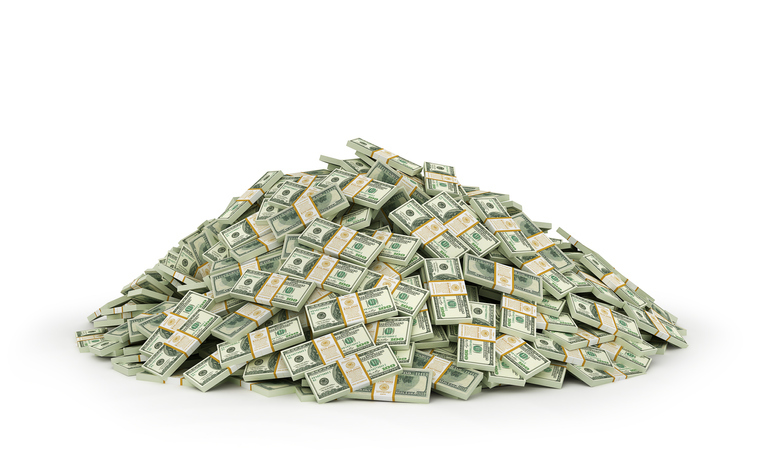 The amount of cash an organization has is critical to its financial health and can have a decisive impact on a range of issues including payroll, debt servicing, the ability to purchase assets or make acquisitions, as well as the ability to monitor financial covenants and ensure compliance reporting. Without an accurate assessment of the amount of cash on hand, organizations risk making poor or uninformed decisions. The management team may not be fully prepared for unexpected expenses. Data from APQC’s Finance Organization Survey shows that the top performers in this metric have a two-hour cycle time, while the bottom performers take an hour longer. An extra hour may not sound like much, but the cumulative impact can be significant. Bottom performers on this metric will spend significantly more time over the course of a year processing data rather than thinking strategically about what the data is saying. While top performers can establish a daily cash position in two hours or faster, this number is rapidly shrinking. The integration of robotic process automation (RPA) into the finance function has drastically reduced cycle times for a range of processes like auditing expense reports, conducting general ledger account reconciliation, recording journal entries, and processing vendor payments. Similarly, RPA has helped some organizations reduce the cycle time for this metric from hours to minutes. For example, in a presentation at the 2018 Association for Financial Professionals annual conference, pharmaceutical company Mallinckrodt shared the results of a successful pilot RPA program for its daily cash position reporting. 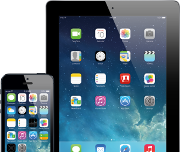 The organization set up a fully automated process that utilizes login credentials to take data from six different banks in a variety of formats including Excel, PDFs, screen-scraping, and secure attachments. The time-savings from automated cash position reporting was significant: the organization cut its cycle time from an hour to about three minutes. Insurance provider Allianz has shown how any company can dramatically improve these cash information metrics by automating its daily cash process. In the past, account reconciliations took a long time to complete and were performed manually. Because the process was so lengthy and labor intensive, it wasn’t performed frequently enough, which can easily lead to problems for an organization. Allianz built an RPA program that can quickly connect to three cash pooling systems to calculate and reconcile daily cash data. As a result of its RPA program, Allianz has been able to reduce its daily cash process from six to eight hours of manual work to just five minutes. Reconciliations are now performed much more frequently and the data from the process is richer as a result. 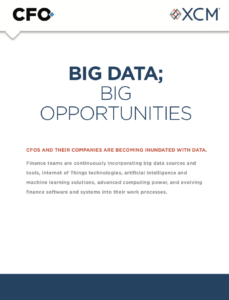 As RPA is increasingly integrated into the finance function at best-practice organizations, the gap between the top performers and bottom performers on this metric will only continue to grow. Just as it has done for many other processes, RPA can reduce the amount of time and labor associated with establishing a daily cash position and free up the finance function to focus on value-added work. Organizations that leverage RPA for daily cash reporting can more quickly and accurately ascertain their daily cash position, making them better prepared for whatever the future brings. If cash is the air that organizations breathe, the ability to efficiently establish a cash position helps to ensure that leaders know just how much breathing room they have.